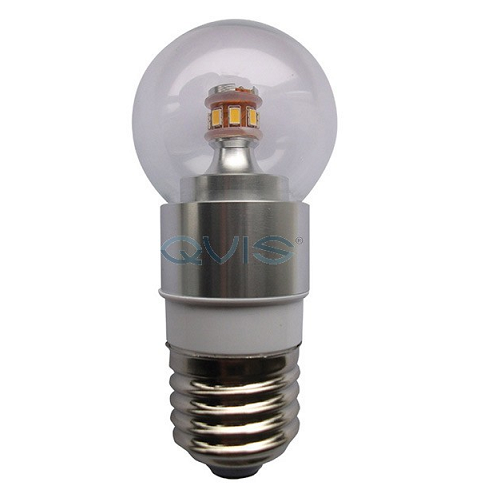 Part of our Qvis Lighting range the A1-3.8-E27NW-F is a non-dimmable 3.8w (4w) E27 LED bulb with enough beam distribution to light up any given interior. It’s 360 degree angle makes for the perfect spread across any angle, helped by the integration of 10 mini LEDs. This E27 LED bulb comes with a frosted bulb for added style and brightness reduction. This natural white LED kicks out 5,700 - 6,300K for a super crisp beam colour. This is a great bulb for either domestic or commercial scenarios where reducing energy and electricity bills comes as a priority.